Who’s the Real Threat to Japan? 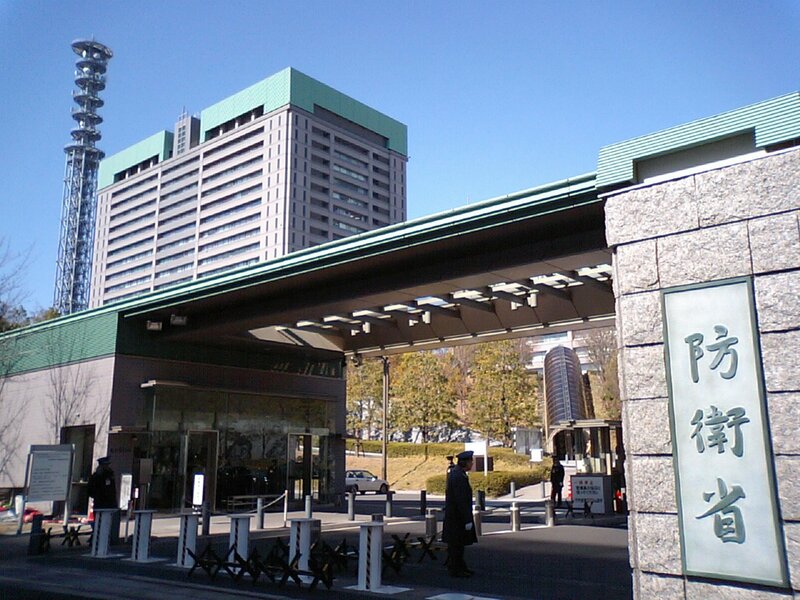 The recent agreement on the planned national security legislation between the ruling Liberal Democratic Party (LDP) and its coalition partner, Komeito, is hardly a cause for celebration. While the latter convinced the former to include a “break” mechanism that would require Diet’s approval before allowing SDF dispatch, it hardly proclaims Japan’s almost 70-year commitment to peace in international security. Worse, it has rendered the Constitution a property of the government, rather than the people’s armor against arbitrariness of their politicians. It all begins with conceptual ambiguities, which date back from 1947 when the United States dragged Japan into the impending “cold” war against communist states. Since then, the interpretation of the postwar Constitution’s Article 9 that forbids war depended on who’s on top of the political seesaw between the left and the right wings, with brief interruptions from those in between. 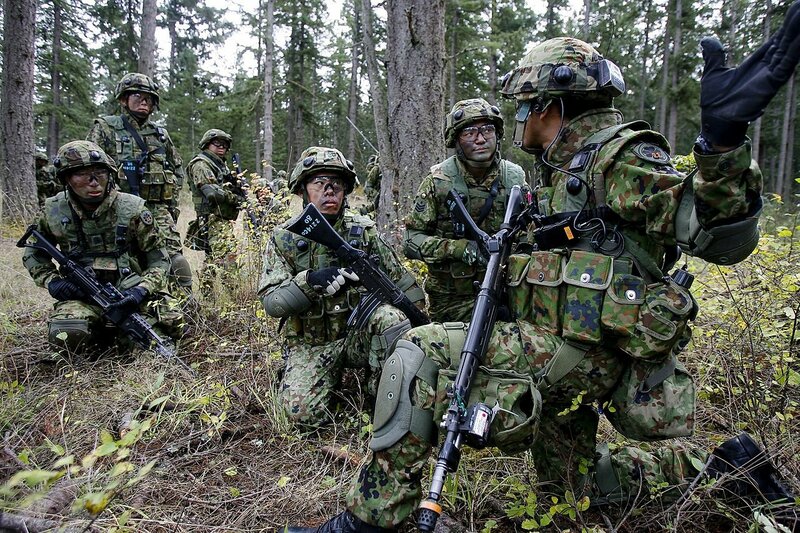 Central to the dominant LDP’s justification for expanding Japan’s military role is to make Japan a normal country, with an active role in international security. Currently, the Abe administration sees the revision as necessary to contain exceptional situations that “threaten Japan’s survival” and, therefore, abate people’s right to the ‘good life’. To make sense of these statements, one must ask two fundamental questions: What are these threats that the conservative leaders are talking about? And more importantly, to what extent are these threats so threatening that it can legitimize the government’s claim to state exceptionalism? At a glance, the answer to the first question seems like a cakewalk. Japan is just like any state inundated with real or perceived external threats. All we need to do is enumerate the countries in the region to see Japan’s biggest adversaries: China with its rising military threat capability coupled with the Senkaku/Diaoyu Islands dispute, North Korea’s belligerency seems too serious to ignore after the 2013 Korean crisis over another ‘missile’ test. Although not considered as a threat per se, South Korea’s constant allusion to history-related issues leaves Japan–ROK relations with much unease. On a wider scale, the recent ISIS beheadings of two Japanese nationals signaled that Japan’s security problems go well beyond the region. And let us not forget that the U.S.—with all the war it has waged against terror—is Japan’s strongest ally. A closer look at the conservative logic behind the planned security legislation, however, reveals an invisible threat. This logic dictates that times are changing, and Japan must respond by embracing a more active role in international security; the country’s pacifism must take a new “proactive” shape by arming the country to protect its people. Pacifism without the military is anachronistic and must be abandoned for the sake of Japan’s survival. What this conservative logic fails to acknowledge, however, is that the Japanese people were never ignorant of the grim conditions of the international security environment. This awareness took its radical form in 1945, when Japan was nearly annihilated after decades of struggling to be among the world’s superpowers. The reaction to this tragedy was an exceptional allegiance to pacifism through denouncing war by all means. Since then what makes up the Japanese people’s real protective membrane is not Japan’s threat capability, but its threat incapability. Common sense tells us that provocation can lead to aggression. Ironically, whenever the government strives to put Japan back in the hard power game, where it played a big role a century ago, the Japanese people suffer its consequences. The recent ISIS incident for instance tells us that Japan’s attempts to “contribute” to international peace exposes its people to further attacks. Japanese tourists and migrants in the U.S. and elsewhere are being bullied and lambasted for their government’s reluctance to deal in earnest with its wartime history issues. Nothing frustrates efforts to foster amicable regional ties more than the present LDP’s slanted comments on history and constitutional revisions. Needless to say, the kind of danger that the Japanese are now facing cannot be solved by sending troops abroad, lest the government wants to aggravate the situation. The real threat to the people, it seems, is not external but internal. The hawks in the conservative government consistently contaminate the cherished virtues of the Japan’s postwar Constitution, thereby destroying what protects the Japanese people. If Prime Minister Abe Shinzo still believes, as he expressed a year ago in a Cabinet meeting, that constitutionalism – the principle that serves as the people’s metaphorical barrier against unjust authority and insecurity – is archaic, then the Japanese state is not just attracting unwanted enemies. By undermining the virtue of constitutionalism, the current Prime Minister could be making himself Japan’s real threat. So, are external threats enough to warrant Abe’s appeal to state exceptionalism? As Arendt said in her laudatio for Karl Jaspers, “political questions are far too serious to be left to the politicians”. Perhaps, the Japanese consistent appeal against Article 9 revision is enough for an answer. Interesting. A well argued piece. Book: Emperor of Japan embodies the evolution of the purification process to become one great nation. A monarchy wary of communist and religion threatening the status quo. The purity and power achieved was internal and complete. Language and culture as a responsible nation must spread across Asia and the world. It is the status quo back by no constitution or any law. WWI and II. The status quo was short lived by surrender. The emperor see annihilation of a purified people, it’s language and culture, in a nuclear war that looms after Hiroshima and Nagasaki atomic bombing, two main military cities. Surrender complete making sure the nation accounts to only one it declared war. U.S.A.
U.S.A.Imposed a constitution that preserves the monarchy. 70 years of peace in Japan, now, a working democracy like any other country, rule of law, evolving to the ways of other nations of the world wary to sustain the achievements since defeat. War is over. The enemy now it’s friend. It is understandable in a democracy of people expressing views during peace time. One has to wait for his or her turn in a democratic system to turn that view into a law or foreign policy. 70 years, the hold on power change hands making sure the system works for the nation and its people, language and culture in relation with its neighbors and the world. The process was tedious and long. World events overtook loosing prestige as second largest economy next to U.S.A. Personally and there is a saying in my country: “nakahiga ka na sa banig kaya bakit ka lilipat sa sahig”. This Filipino saying deeper meaning from “the frying pan to the fire”. My view and gut feeling will muster all the power to my perception to embrace the status quo. Senator Juan Ponce Enrile a decade after EDSA people power submit saying “it’s not a perfect world”. Now, who wants to be perfect? He was right when he wrote Japanese are different. Japan is in the ring of fire. Lots volcanoes erupting, great earthquakes and tsunamis. Twin atom bombs and nuclear disaster make Japanese even more different. Resilient even more. Monroe Doctrine say all lands is owned by the state the same in communist. When colonization by western civilization was at its doorstep, communism and other religion has no place in Japan. Here, he could be right say so indeed. Christian Japanese migrated to PLAZA DILAO, now PACO district, MANILA, LUZON and DAVAO, MINDANAO among other places in the PHILIPPINES. Even long ago, migration happening due to sea trade and commerce bringing and showing their inherent resilient ways. It is look as bizarre in a tropical country where winter and snow is not a relief but a disadvantage. Right or wrong, he despise this Japanese idea migrating there and in the USA. Japanese resilience is incorporated in all MADE by JAPAN. Japan Institute of Standards and Technology or JIST, USA’s ASMI standard equivalent on products in the PHILIPPINES, TAIWAN, KOREA and the world till 1945. Here is where he say that Japan must be stop no matter what the consequence. WWII post, Japanese left behind their businesses started by hiring Chinese and Koreans. There are 188 local languages in the PHILIPPINES. It is highly inconceivable they hired locals learn their trade and resilience. Their human nature. These countries are colonies speaking NIHONGO. Where conscripts were drawn and given surnames. Resilient standard back in Japan. 70 years after WWII. This decade of fierce completion saw “SHORTCUTs” how a product is made. In all uncompromising arbitrary forms. GmbH from out of the blue dislodge in a stock crash and currency war and systemic coercion. The creeping invasion. Submarine and components deal. The Status Quo is under threat. From PLAZA DILAO to the flash district of MAKATI now house big, resilient community of Japan businesses among other places in the PHILIPPINES. No matter who is its president, “the wound healed” and it is Japan core interest. Democracy is tedious and long. Archaic. Yet, political resilienc war past made it FREE, Friday, September 18, 2015, from the shackles of ARTICLE 9 of the constitution imposed after a nuclear war wage against its conventional warfare. Now, it came to light that he is right writing Japanese different to quote “inferior and superior in ways. And wrong about the Japanese Navy presence in South China Sea, not that the PIVOT to ASIA is inferior and not trustworthy “enforcing it’. On the State Visit, the host prove true to his word.